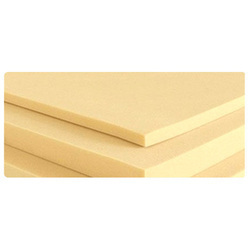 We are the leading manufacturer and supplier of PUF Slabs. These PUF Slabs are manufactured from high quality raw material procured from the reliable vendor as per the norms of the industry standards. These are manufactured under the guidance of our expert who had profound knowledge in their respective domain. Due to their features like high strength, robustnedd and durable finish standards, these are widely acclaimed by our clients. In order to rectify any kind of error, our offered products are gone through several tests. Client can availed these product from us at reasonable prices. We are renowned as one of the distinguished organizations of high grade PUF Slabs. These are manufactured by our deft team according to the pre-defined industry norms utilizing superior grade materials. Due to their features like high strength, robustness and durable finish standards, these are widely acclaimed by our precious clients. Moreover, these are available at market leading rates to the clients.